Unit consists of wall mounting plate fabricated of 7 gauge type 304 stainless steel with four countersunk mounting holes and eight tapped holes. 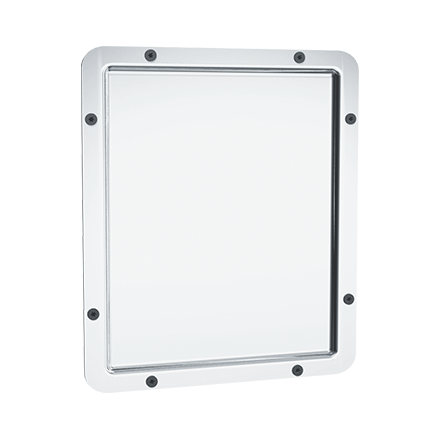 Formed mirror fabricated of 18 gauge type 304 stainless steel with #8 mirror polish finish provided with eight dimpled holes through integral frame and 1⁄4-20 x 1⁄4″ Torx® head screws for securing to wall mounting plate. 18 Gauge, No 8 mirror polish finish.